This Beautiful Grace: Yay! New Camera! We are the proud owners of a new-to-us point and shoot camera! I have been wanting a small camera to put in our running pack to take along on runs and races. We see so many funny/cool/beautiful/interesting things when we're out running. And I don't know how many times I've wished for a camera! After our half marathon in Louisville, I knew I HAD to have one. There are so many cool things to record, I felt lost without a camera. I could tell by the noises David was making that the budget wasn't going to be very generous for this purchase. We have already used up our running budget for awhile just on races! But I looked at the store and realized with a sinking feeling that I wasn't going to be happy at all with a cheapy. 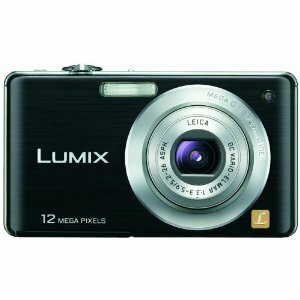 I wanted a Lumix. I'd seen them in action, liked what they had to offer, liked the size and options. So...I headed to Craigslist as a woman with a purpose. And would you believe, I found a Lumix for $30.00!!! The catch was, it had no charging and USB cords. (Which also meant there was no guarantee it would work after I got the cords!) But this camera is selling for $100-$250 right now, and the cords we needed were super-cheap on Amazon....so we took the risk and set up a meeting. The cool thing was, we were able to combine the trip with a trip to Indy for a photo shoot...AND I found something else we were needing on Craigslist that day that was about 5 minutes away from where we picked up the camera! It was a happy-happy day. Saved gas, saved money! I waited nervously for my charging cord to arrive so I could test out the camera and see if I'd been had by a skinny teenager in a parking lot. But it works! Happylujah! And I'm very happy with the camera. Another reason for this purchase is so that we don't have to haul our good (hugemongous) DSLRs in the diaper bag, to sandy or muddy places, and in my purse. The liability is so huge with those cameras. So now I have a diaper bag/running camera. And the kids are enjoying having a camera they can use without their mother hovering above them, clutching the strap so they don't drop it. Here are a few pictures, straight-out-of-the-camera (SOOTC) I'll get better ones later, but Karissa were just tooting around with it yesterday. Can't wait till my next long run so I can try it out! I had a few other good ones that showed the depth of color, but I deleted them off the camera memory so Karissa could fool around with it. She took most of these! I also had to delete one really cool one cuz Caiden was in his skeebies and David forbids me from posting naked pictures. ; ) Obedient-wife-that-I-am. I think there were some special effects settings going on here. She is so excited that she gets her own file on the computer for her pictures and she gets to edit them to her heart's content without any hovering from her (helicopter) mother.